To commemorate the recent 50th anniversary of the Tet Offensive in Vietnam, the United States Diplomacy Center hosted a panel of eye witnesses — including retired diplomats and a former journalist — as well as a military historian to take us back to the night of the attack. Assistant Secretary of State for Public Affairs Michelle Giuda introduced our panelists: Dr. Erik Villard, Military Historian at the U.S. Army Center for Military History; retired Ambassador E. Allan Wendt, who was the duty officer the night of the attack; Don North, a former ABC journalist who witnessed and reported on the attack; retired Foreign Service Officer James Nach who served in Saigon in the early 1970s, and Eric Duyck, the Diplomacy Center’s Collections Manager. Dr. Villard set the historic stage for the audience, contextualizing the Viet Cong offensive and explaining how the embassy building had been designed to withstand an attack. 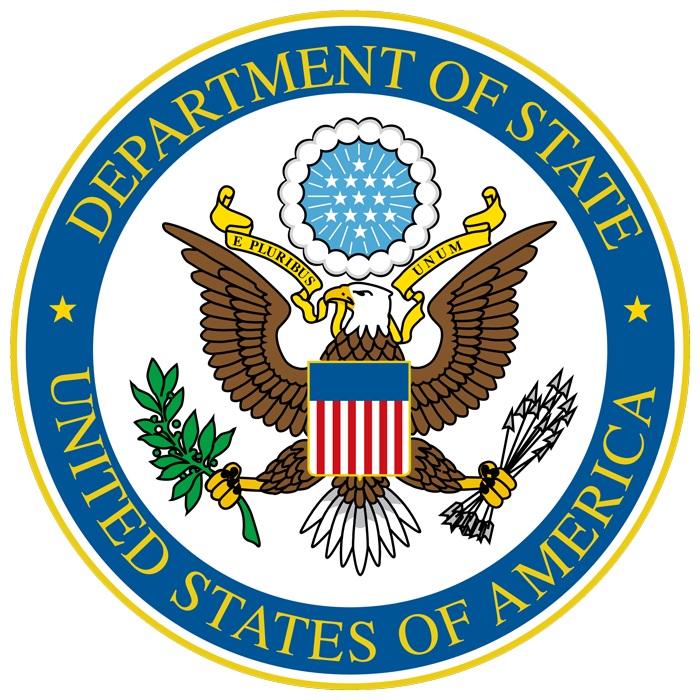 Ambassador Wendt spoke about his experiences as the duty officer during the attack, including relaying information back to Washington and carrying a wounded marine to safety. 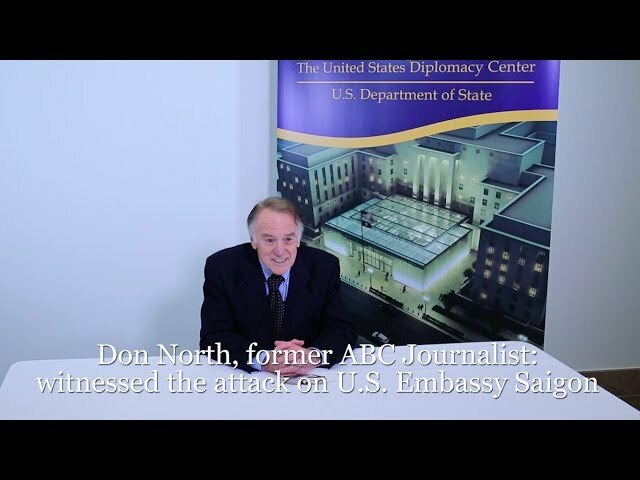 Don North spoke about his experience of being outside the embassy compound, lying flat on the sidewalk, witnessing the siege until the end, as well as about his efforts to try to interview embassy staff the next day. James Nach and Eric Duyck showed the audience two items that Nach donated to the Diplomacy Center, including a Vietnamese “Family Tree” that Nach drew on a large piece of paper to show the family relationships among Vietnam’s political leaders, and a piece of concrete he salvaged from the sidewalk outside the Embassy. To stay updated, follow our Facebook page. See pictures of the event here. To commemorate the recent 50th anniversary of the Tet Offensive in Vietnam, the United States Diplomacy Center hosted a panel of eye witnesses to take us back to the night of the attack. Assistant Secretary of State for Public Affairs Michelle Giuda introduced our panelists: Dr. Erik Villard, Military Historian at the U.S. Army Center for Military History; retired Ambassador E. Allan Wendt, who was the duty officer the night of the attack; Don North, a former ABC journalist who witnessed and reported on the attack; Eric Duyck, the Diplomacy Center's Collections Manager; and retired Foreign Service Officer James Nach who served in Saigon in the early 1970s. 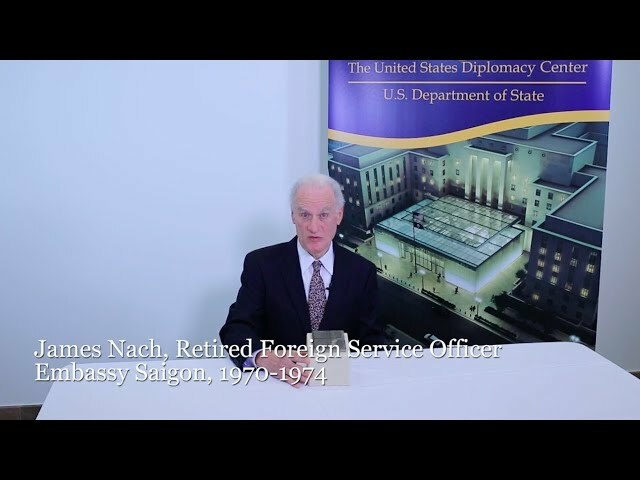 We asked retired Foreign Service Officer James Nach to tell us about a piece of sidewalk he found in Ho Chi Minh City that helps tells the story of the Tet Offensive. To commemorate the recent 50th anniversary of the Tet Offensive in Vietnam, the United States Diplomacy Center hosted a panel of eye witnesses to take us back to the night of the attack. Assistant Secretary of State for Public Affairs Michelle Giuda introduced our panelists: Dr. Erik Villard, Military Historian at the U.S. Army Center for Military History; retired Ambassador E. Allan Wendt, who was the duty officer the night of the attack; retired Foreign Service Officer James Nach who served in Saigon in the early 1970s, and Eric Duyck, the Diplomacy Center's Collections Manager; and Don North, a former ABC journalist who witnessed and reported on the attack. We asked Don North to share his experiences. To commemorate the recent 50th anniversary of the Tet Offensive in Vietnam, the United States Diplomacy Center hosted a panel of eye witnesses to take us back to the night of the attack. Assistant Secretary of State for Public Affairs Michelle Giuda introduced our panelists: Dr. Erik Villard, Military Historian at the U.S. Army Center for Military History; Don North, a former ABC journalist who witnessed and reported on the attack; retired Foreign Service Officer James Nach who served in Saigon in the early 1970s, and Eric Duyck, the Diplomacy Center's Collections Manager; and retired Ambassador E. Allan Wendt, who was the duty officer the night of the attack. 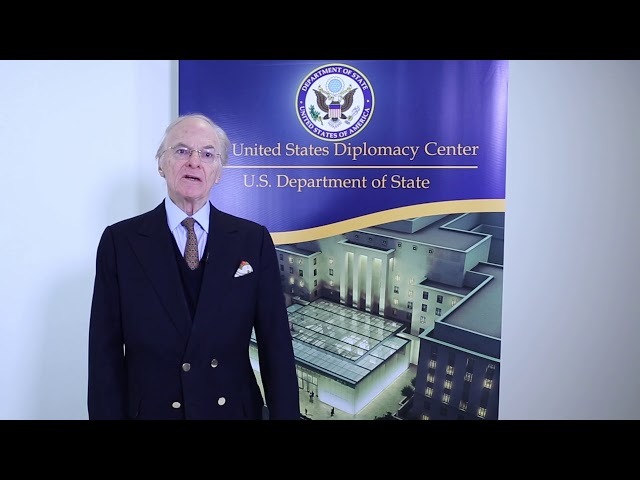 We asked Ambassador E. Allan Wendt to tell us about his experience.